The power to transform our lives lies within our free will choices to change course, to walk in the light, and push forward without hesitancy or fear. Our ascended elder brothers and sisters learned and mastered the art of oneness with God through loving service and virtuous giving to mankind. Since the pure in heart shall see God, we must constantly strive to develop greater purity of consciousness by focusing upon the light of eternal love that beats within every heart. 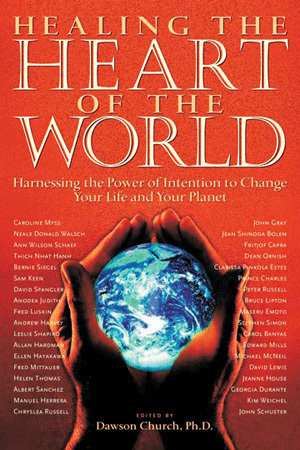 For information about the organization co-founded by David go to www.heartscenter.org. For information about spiritual courses taught by David visit www.meruuniversity.org. Afra, the divine patron of Africa, exemplifies universal brother/sisterhood and embodies the flame of freedom. In this book, he reveals how to connect fully to the light and fabric of our souls. His stories, revelations, and insights—from past civilizations through modern times—show us how to reconnect with the Divine for personal and planetary unity and enlightenment. Includes 16 beautiful color plates from Canadian artist Slava Kolesar. Living a Soulful Life is available to the book trade and libraries through New Leaf Distributors. Saint Germain has been called the Wonderman of Europe, the Master Alchemist, the Avatar of Aquarius and the God of Love to the Earth. He comes today to initiate spiritual aspirants into the deeper mysteries of divine truth through up-to-date teachings on advanced alchemy. This book is for those who would know the eternal flame of love and master the science of inner being to bring about a world of freedom, enlightenment, peace and prosperity. Alchemy is the ancient science of spirit through which inner transformation takes place: the lead of our lower nature is transmuted in the gold of our true, divine Selfhood. In this inspired work Saint Germain releases new formulas for our lives today that assist us in raising our consciousness and accelerating enlightened love through what he calls heartstreaming. This important new book takes studies of the aura to an exciting new level. 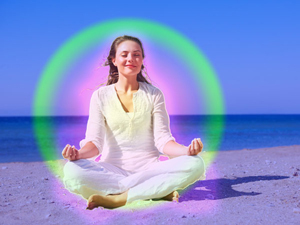 It reveals that the aura is more than just a colorful energy field around all living things. It can be a powerful resonator for both personal and global transformation. 5 1/2 x 8 1/2 inches • 8 oz. Includes beautiful color plates from French-Canadian visionary artist Mario Duguay. 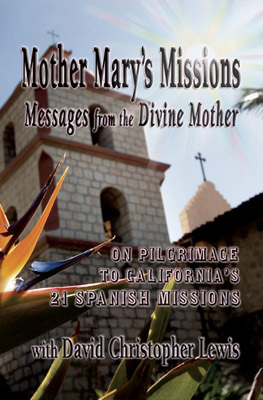 This chronicle of an eight-day pilgrimage to the original 21 Spanish Missions in California interweaves the history and original purpose of the missions with new revelations from Mother Mary and other ascended masters. Inspiring new teachings on many topics are brought to light for our lives and for the world. Experience the radiance of Mother Mary’s teachings for today. 6 x 9 inches • 1lb. 2 oz. Includes black and white photos and illustrations. 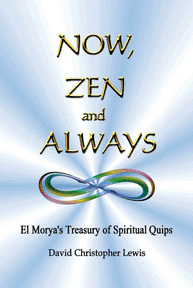 In the tradition of Zen Masters, El Morya concentrates tremendous light and wisdom into Jewels of thought. Humor and wit combine with insight and transcendence in these pithy wordplays. Have you had your daily infusion of light and fun? If not, meditate on any of Morya's 1200 quips. 4 x 6 inches • 6.2 oz. Inspired writings by 40 of the top spirit-based thinkers on the planet today. Including Chapters by David Lewis, Prince Charles, John Gray, Caroline Myss, Jean Shinoda Bolen, George Leonard, Fritjof Capra and Dean Ornish. Inviting divine intelligence to co-create with us solutions that leap the bounds of human logic and awareness. David and Michael reveal the five keys to initiating a successful heartstreaming session, moving a group from a place of reasoning with their minds to finding the magic that springs from a shared heart. 1 x 6.3 x 9.1 inches • 1.4 lbs. The Mindful Meditations series is a collection of evocative reflections that will change the way you think about joy, truth, kindness, mercy, mindfulness, grace, and soulfulness. Each book will offer an opportunity to explore the key virtues that are essential to a truly spiritual life. The pages sparkle with Zen phrases, heart-opening perspectives and insightful humor that will inspire, illumine and empower you to live life more fully.